That's exactly how life goes. Each day starts with a to-do list. Some things get done, and some don't. The unfinished things just roll over to the next day. So that's exactly what happened with February. I got one charity top pieced, but it's not yet quilted. I'm counting it as a head start for March! If you remember from my January post, I started with a LOT of Debbie Mumm fabrics. As they arrived to my house, I cut them up to make 52 baby quilts using The Road Trip Quilt pattern by Cluck Cluck Sew. 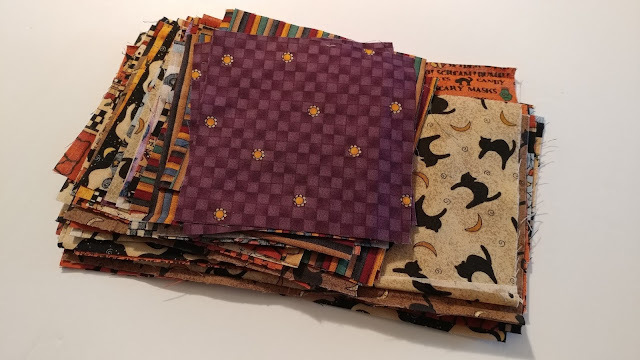 I sorted the fabrics into somewhat coordinated sets for each quilt. Now, when I'm in-between projects, I just grab a stack and lay the pieces out on my temporary design wall (a vinyl tablecloth held up in my dining room with push pins), then start sewing! 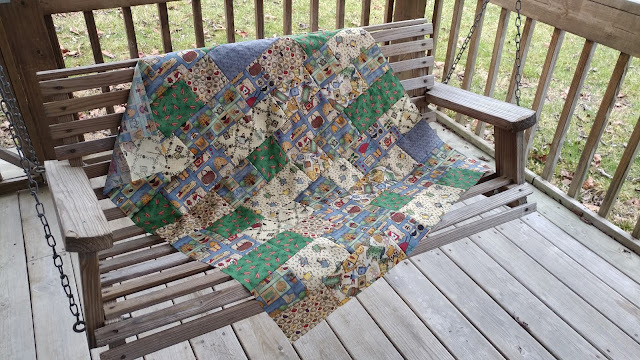 So far, I've completed 3 charity quilts for my goal of 52. Did you do any charity sewing in February? Link up! We want to see! Then come back at the end of March - I *plan* to finish a few this month! Having all the fabric kitted and ready to go is going to set you up for success in the long run. You definitely stay really busy (in good ways - so many great opportunities going on for you right now! ), so I hope that you find a balance of things that help you achieve your goal. It is hard when we can’t get to the bottom of our lists. Life gets in the way, but I know, many of those are moments I wouldn’t trade for all the list checking off in the world. You are doing great and you’ll power through a few one day and be all caught up! Plenty of time to catch up! But when you are busy it is so hard to fit everything in. be patient. 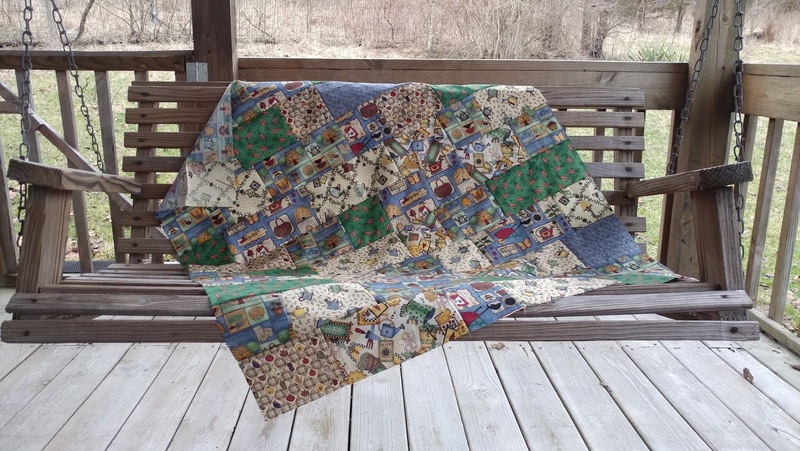 It's a lofty goal, 52 Charity quilts in 52 weeks! And then all your other projects! My gracious! I think you do amazingly well! What a beautiful goal! 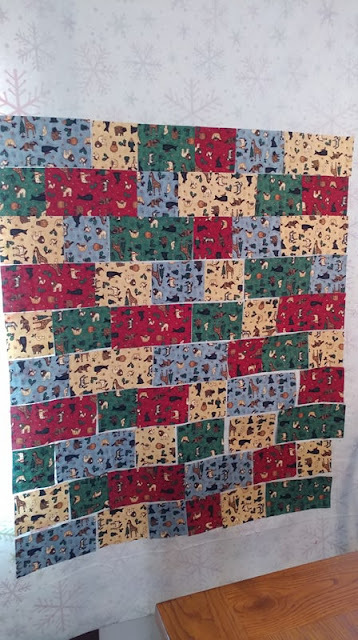 Looks like you have found a great pattern to make those lovely pieces into some wonderful charity quilts. March on!